Hypsoropha hormos - Hodges#8528 (Small Necklace Moth). 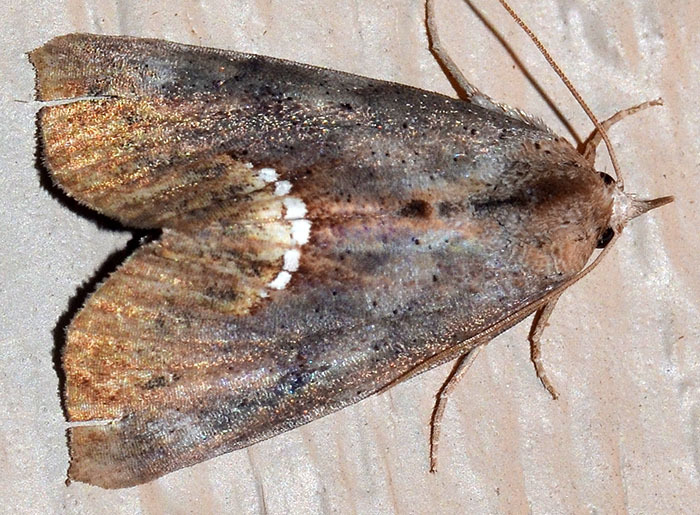 Another brownish moth but this one has, what looks like, a row of white teeth on its back. These characteristic feature is probably the necklace that its common name refers to. It is also present in the sister species H. monilis which is overall larger. The larvae prefer persimmon trees.